As our program has grown, so too has our footprint across Philadelphia. 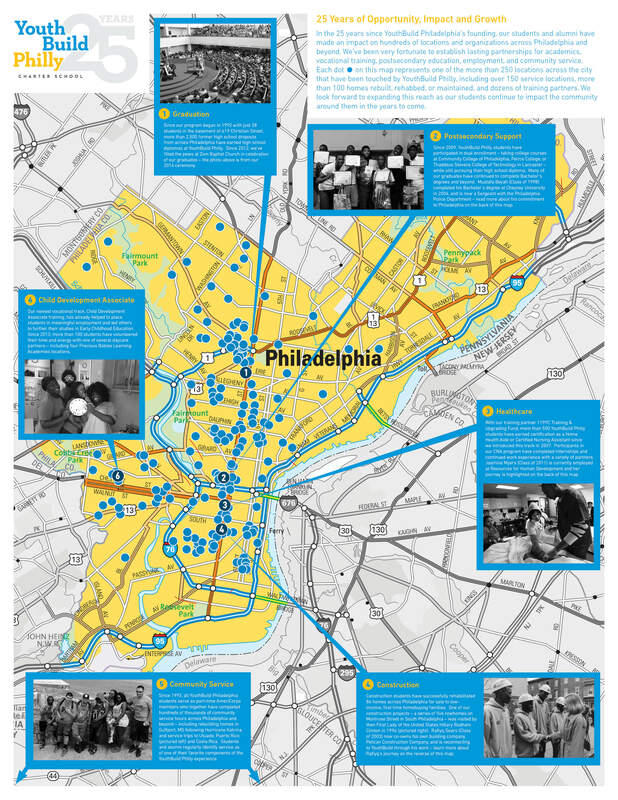 To help us celebrate our 25th anniversary, we’ve put together a map to highlight some of the 200+ locations across Philadelphia where YouthBuild Philly has made an impact – through partnerships, outreach, service projects, and countless other ways. Click on the map to start zooming in! Please contact Ted Molloy if you’d like to receive a print copy of this poster to hang in your home or office with the pride of knowing that you’ve supported a life-changing opportunity for young people in Philadelphia.